Situated in the heart of Loch Lomond National Park, Winnock Hotel is set in an 18th-century building and features an on-site bar and a restaurant serving British cuisine. Public parking facilities are available free of charge. Rooms are decorated with warm tones and they are all equipped with a TV with satellite channels. Each room comprises a private bathroom fitted with a shower. Some rooms also boast a private balcony and four-poster beds. Guests can enjoy British specialities on the hotel’s restaurant, which is open for lunch and dinner. Spirits and soft drinks are available in the bar throughout the day and breakfast is served every morning on the restaurant. 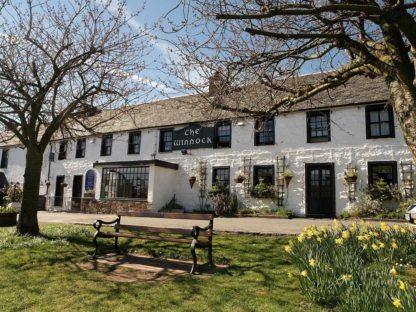 An array of outdoor activities including hiking, cycling, fishing and birdwatching can be enjoyed in the green surroundings of Winnock Hotel. The accommodation also offers Scottish evenings, murder mystery weekends and golf and hiking holidays.